Merqum is patent holder for method and device in biometric password generation. Currently we are looking for investments in fingerprint password management technology. We estimate total market for biometric password generation at1 billion Euro p/a. Please review info below and in other articles. Application of the invention is generation of permanent and unique passwords applying parameters of a fingerprint or of other biometric characteristics. The image below shows how fingerprint image can be processed into digital one with features (points) extracted for generation of a password. Password use is widely accepted method for protection of informational and other resources: in computer networks, cash dispensers, telephone cards, etc. However, passwords can be forgotten, stolen or broken. In this relation, biometric identification is more reliable, since fingerprint or eye can not disappear so easily. On the other hand, implementation of biometric security systems is fairly expensive and limited with certain areas or applications, for example in restricted areas or locked devices. There are also examples for combination of biometrical and password protection, either to protect scanning areas or to generate random passwords. The main idea of proposed invention is to create security system using combined password and biometric protection. The point of password use is to create universal and easy to install system; the point of biometric use is to create highly secure system. - Flexibility in installation of access control devices: i.e. biometric scanners and password generators in university labs and libraries or subscription services of internet media. Since security concerns in the modern world are constantly growing, biometric password generation is capable to gain at least 3% of total biometric market. We plan to start sales of devices based on finger scan technology . We’ll target consumer market with devices priced below $70 and estimate 1-st year sales at 0.3% of market value or $500.000. Conservative estimation of our annual sales growth is equal to industry growth rate of 29%. We plan to sell product through chains of retailers in Europe (Mediamarkt, Eldorado, Foxtrot, etc) and USA (Radiojack, Wallmart, etc). This gives us less control for payment collection, prices and merchandising, but provides faster consumer market penetration. We also plan internet sales and have adequate knowledge, experience and resources to create, promote and maintain internet store. -	Passwords are unique because of uniqueness of biometric characteristics. -	Passwords are permanent, because they use certain mathematical algorithm (coding table) for coding. Other methods on the market generate just random passwords, useless for most applications. -	Passwords do not require storage or additional processing (i.e. 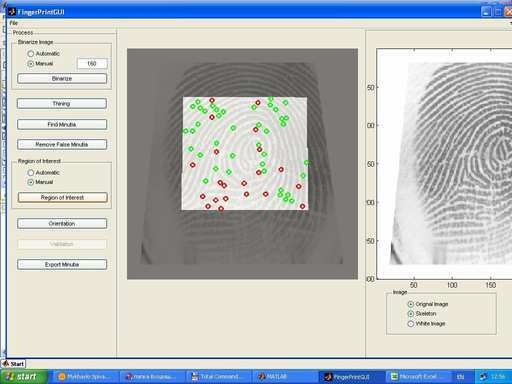 comparison of a fingerprint with etalon in a database). -	Passwords use is flexible and can be invented in numerous applications: from personal password generators to access control systems. -	Passwords are secure because user can select any coding table or coordinate grid to generate password; this selection, however, is easy to remember.